Last week, Royal Caribbean International revealed a number of the new attractions that will be installed in its two new “Quantum” class ships. Included will be a “North Star” capsule, modelled after the capsules on the London Eye, that will lift 16 guests up to 300 feet above the sea, as well as a seagoing version of hang-gliding and, for the younger set, bumper cars. 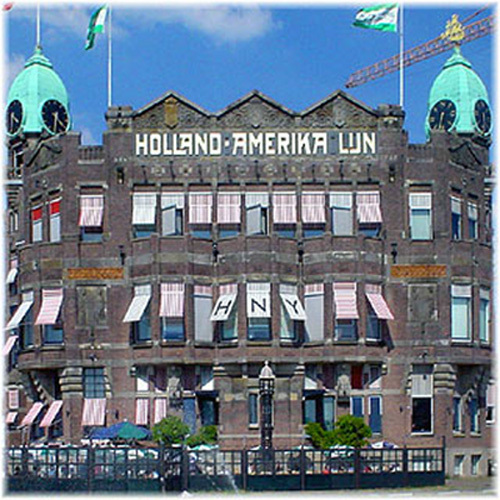 Meanwhile, on Thursday, Holland America Line celebrated the 140th Anniversary of its founding in Rotterdam in 1873. And Carnival Cruise Lines announced a number of safety and redundancy improvements for its fleet after a main engine failure stuck the Carnival Triumph in February. Royal Caribbean International surprised cruisers last Tuesday with details of its attractions on its new 4,180-passenger Quantum of the Seas. Among other things, she will be the first at sea to offer bumper cars, simulated skydiving and an observation capsule called the North Star, which will give passengers a “top of the mast” view 300 feet above the water. Quantum will enter service in November 2014 and will be based in Bayonne NJ, with winter sailings to the Bahamas and Caribbean. She will be followed in 2015 by a sister ship to be named Anthem of the Seas. Another new activity, the skydiving attraction, is called RipCord and uses a powerful wind flow to keep participants aloft while floating and spinning over an outdoor deck. An indoor complex will also Host basketball, table tennis, trapeze instruction and bumper cars. The space converts to a dance floor for roller-skaters, with a disc jockey hovering above in a see-through pod. Another space has a 270-degree panoramic view and will host aerialists and other performances. Clients will be able to book Quantum’s first sailing on June 4, with regular cruisers getting an early viewing from May 27. Fares were not announced but Royal Caribbean said that there would be no extra fees for many of these activities, including The North Star and RipCord skydiving..
Holland America Line was founded in 1873 as the Nederlandsch-Amerikaansche Stoomvaart Maatschappij. 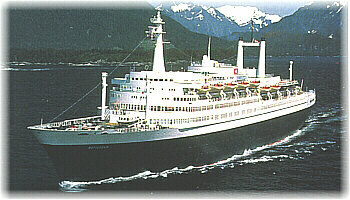 A shipping and passenger line headquartered in Rotterdam and providing service to the Americas, it soon became known as the Holland America Line. The first ships sailed between Rotterdam and New York, while other services were soon opened to Baltimore and South America. A New York cargo service was added in 1899 and during its first twenty-five years the company carried 400,000 people from the old world to the new. Though shipping was the primary sources of its revenue, HAL offered its first cruise in 1895. Its second cruise, from New York to the Holy Land, was offered in 1910 and many others followed. Temporarily moving its headquarters to Curacao during the Second World War, eventually New York would become the company’s headquarters, in 1971, in the same year that it suspended its transatlantic passenger service. In 1973 it sold its cargo shipping division, had which participated in the formation of Atlantic Container Line. In 1983, upon acquiring Westours, the company moved to Seattle. Six years later, in 1989, Holland America Line and its then fleet of four ships became the first outside brand to join the Carnival group. Today, with the backing of Carnival Corp & PLC, its fleet stands at fifteen ships. These fifteen ships operate to seven continents and carried more than 750,000 cruise passengers in 2012. Holland America Line produced some noted ships, from the 36,287-ton Nieuw Amsterdam of 1937 (besides the 81,237-ton Queen Mary, the only 1930s-built liner to make a profit) and the 38,645-ton Rotterdam of 1959, one of the first North Atlantic ships also equipped for one-class luxury cruising. By the late 1960s, however, the golden era of transatlantic passenger ships was ended by air travel. In 1971, Holland America moved from operating ocean liners to full-time cruising and it is known now for its wide variety of destinations, including Antarctica, which it added in the 1980s. The line also now owns the Westmark Hotels in Alaska and the Yukon, Worldwide Shore Services providing logistical support and the private island Half Moon Cay, where most Caribbean cruises now spend a relaxing day. Since the end of 2012, the present 59.855-ton Rotterdam, sixth of the name, has been based in Holland year-round, performing a number of short cruises within Europa, as well as longer cruises to the Canaries and as fare as Indonesia. She has also been offering cruises for passengers boarding at Southampton. Holland America expects more than half of Rotterdam’s passengers will be Dutch. In October 2012 it was announced that an order had been placed with Italian shipbuilder Fincantieri for the construction of a 2,660-passenger ship for delivery in the autumn of 2015. The ship will be the first of a new class, the “Pinnacle” class, and will enter service five years after the last Holland America ship, the Nieuw Amsterdam of 2010. Although it closed its transatlantic service in 1971, Holland America has always sent ships to Europe and has been redeveloping its Rotterdam base since 2007. The Seattle-based line is doing all it can to draw on its European roots and entice more European clients to cruise with them. Its ships continue to be staffed by Dutch officers and crew from Indonesia, the former Dutch East Indies, something that has now become an accepted tradition. In Rotterdam itself, two Holland America icons stand out today. 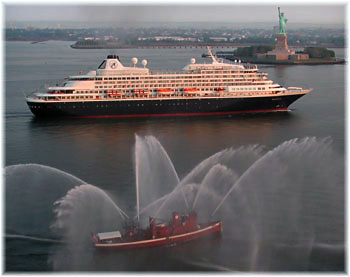 Holland America’s last regular Transatlantic liner, the Rotterdam of 1959, now operates there as a floating hotel, Cruise Hotel SS Rotterdam, while the line’s former headquarters building, built in 1901 adjacent to what is now the Wilheminakade cruise terminal, has found a new lease on life as the 72-room Hotel New York. On Wednesday last week Carnival Cruise Lines announced that it had implemented a program to enhance emergency power capabilities, introduce new fire safety technology, and improve the level of operating redundancies across its entire twenty-four-ship fleet. This program will cost more than $300 million and upgrades have already begun. Nearly 4.5 million guests sail with Carnival Cruise Lines each year. The actions by Carnival Cruise Lines will expand the availability of hotel services for the comfort of guests in the rare instance of the loss of main power. 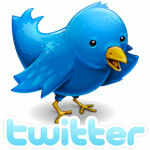 In addition, the plan will reinforce shipboard operating systems to prevent a potential loss of primary power. The plan is the result of a comprehensive operational review, overseen by parent company Carnival Corporation & plc after the Carnival Triumph fire in February 2013. An initial increase in emergency generator power across Carnival Cruise Lines’ fleet will be completed over the next several months. An additional emergency generator will be installed on each ship to provide for 100 percent of stateroom and public toilets, fresh water and elevators in the event of a loss of main power. This work is already underway and will not affect scheduled itineraries. Upon completion of this phase, the line will install a second permanent back-up power system on each ship to provide a greater level of hotel and guest services if main power is lost. This will include expanded cooking facilities and cold food storage, as well as internet and telephone communications. The company will also make additional investments in the newest and most technically advanced fire prevention, detection and suppression systems. This includes upgrading the water mist fire suppression systems already in place on Carnival vessels to the newest generation. When triggered, this high-pressure water mist system instantly creates a larger and thicker blanket of water droplets than the present system. As the water droplets evaporate, the system rapidly cools any hot areas to prevent the possibility of a fire restarting. All Carnival Cruise Lines ships have two separate, redundant engine rooms. The company’s operational review has identified modifications to decrease the likelihood of losing propulsive power, as happened on Carnival Triumph in February. The modifications will include a reconfiguration of certain engine-related electrical components. Carnival Cruise Lines also announced the formation of a Safety & Reliability Review Board comprised of outside experts with expertise in marine and occupational safety, reliability and maintenance, marine regulatory compliance and quality control/assurance. The new board will provide an additional outside perspective, drawing from across a number of relevant fields and organizations. The board will be comprised of five external members and searches are now under way for candidates with experience in organizations such as the US Navy, US Coast Guard and National Transportation Safety Board, as well as leading airlines and equipment manufacturers. Parent company Carnival Corporation & PLC previously announced a corporate-wide operational review of all ten of its brands. The review process will include changes that will be applied across the corporation’s fleet. The overall program of enhancements across the corporation’s 101-ship fleet, including Carnival Cruise Lines, is expected to cost between $600 and $700 million. Each class of ship is different and systems can differ on ships within a class, so the enhancements will be tailored for each vessel.